Thousands of people have been affected by Hurricane Harvey, and it will take a very long time for communities to rebuild and recover. Victims, volunteers, members of relief organizations and government officials at all levels will be taxed to the limits of their endurance. Accordingly, we hope to provide assistance at times and in areas needing attention. To this end, the Japan-America Society of Houston (JASH) has established the JAPAN STANDS WITH HOUSTON FUND. All monies contributed to the fund will be placed in a dedicated account and utilized to support trusted local Houston charities rated 5 stars by Charity Navigator, including non-profit organizations that directly serve the people of Greater Houston such as the Memorial Assistance Ministry, Baker-Ripley Neighborhood Center organization, and the Houston Food Bank. For updates on JAPAN STANDS WITH HOUSTON relief efforts, follow the JASH Facebook page or visit the JASH website. 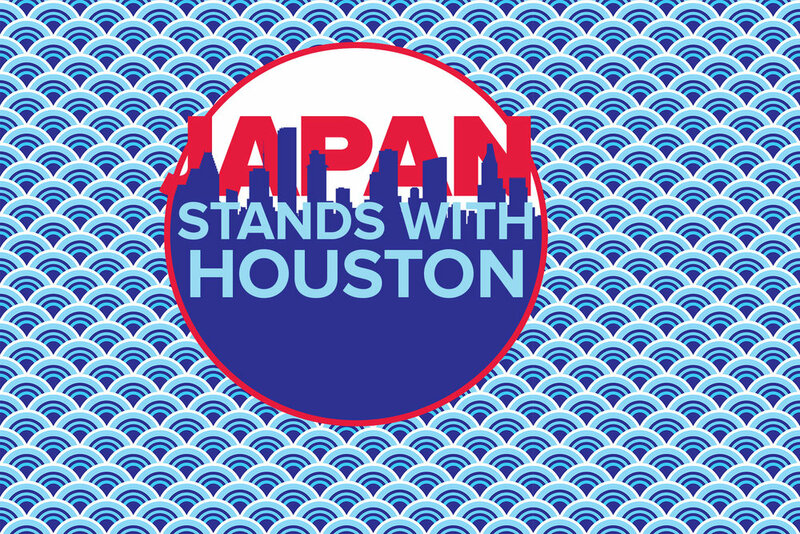 Please share this page with the hashtag #JapanStandsWithHouston to show your solidarity -- every share helps! To donate via DOMESTIC WIRE TRANSFER, use the information below. To donate via INTERNATIONAL WIRE TRANSFER, use the information below. *It is recommended to use this method for donations in Yen to minimize any associated costs.